I remember it well. Days of rolling easy as a parent would suddenly come crashing down as our children took a sudden, sharp turn into Crazy Land (I hope they’re not reading this). To make matters worse, we could rarely identify any reason for the sudden shift in behavior…but shift it did! Our kind, caring, well-behaved children suddenly became emotional quagmires of tears, irritability, and demands. Minor acts of defiance often followed. Entitlement and selfish expectations increased. The change was mysterious, a painstaking step off a cliff into an abyss of emotional turmoil. Even though they would push us away at these times, we knew they needed us to pull them closer. Although they would push against the limits, we knew they needed us to reinforce the limits with kind firmness. In other words, they needed us to give them a S.E.A.T. Set the limits. Restate the limits with kind firmness. Remain polite, but don’t cave. Don’t give in. Children need limits, especially when they seem to be melting down. Give them the gift of security by restating and maintaining firm limits in a manner that reveals your own self-control and confidence as a parent (even if you don’t feel it at the moment). 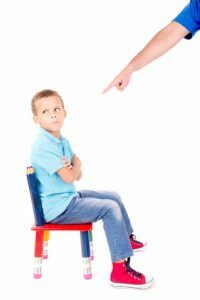 They need the strength of your confidence and self-control, the power of your composure during the chaos of limit setting to help them learn how to manage their own emotions as they mature. Empathize with your children. You can empathize with your children’s frustration over the limit (“You’re really upset that I told you to turn off your game and set the table. It’s hard to stop playing sometimes but I’d like you to help get the table ready for dinner.”). You can empathize with your children by acknowledging their tears, their frustration, and even their anger. Empathizing is not allowing behaviors. It is simply accepting and understanding the pain they feel. Empathizing with your children allows you to connect with them. Even if they don’t acknowledge the connection, know you have connected through empathy…and that connection increases your credibility in their eyes. Accept their emotions. They may get angry. They may break down in tears. They may simply shut down. No matter what, accept their emotion. Emotions in and of themselves are a sign of our shared humanity. They help reveal our priorities. You can set limits with the emotions such as “You can be angry with me, but we don’t hit” or “It’s alright to be upset with me, but you can’t call people names.” Even as you set the limit, accept the emotion and remain present. Let your presence communicate that you are stronger than their emotion. Your children will learn this important lesson: even in the face of scary emotions that make them feel out of control, you are in control. You are a safe haven. You are more powerful than their worst emotions and you will keep them safe. Team up. As you children begin to calm down, reconnect. Hug them. Make sure they know you still love them. Talk about what happened and how they might avoid a similar problem in the future. This may include changes the parent can make, changes the children can make, and changes in communication. In other words, problem solve together. As you go through this process with your children you will have given them a S.E.A.T. and the confidence they need to manage their emotions and behaviors better in the future.